To help give extra support when you need to easily remove your dirty Hunter boots or wader boots is the Hunter Wooden Boot Jack. This wooden boot jack is made of 100% wood and has a rubber inlay that includes the Hunter signature. This rubber tread has enhanced grip to give you complete support when taking off your boots and it has been inspired by the Original Wellington boot. To use this wooden boot jack, you place the heel of your boot in the U shaped mouth of the jack. Then, stand on the back of the jack on the rubber inlay to secure yourself onto the jack and pull your foot free from the front boot. Repeat this process to then remove your other boot. 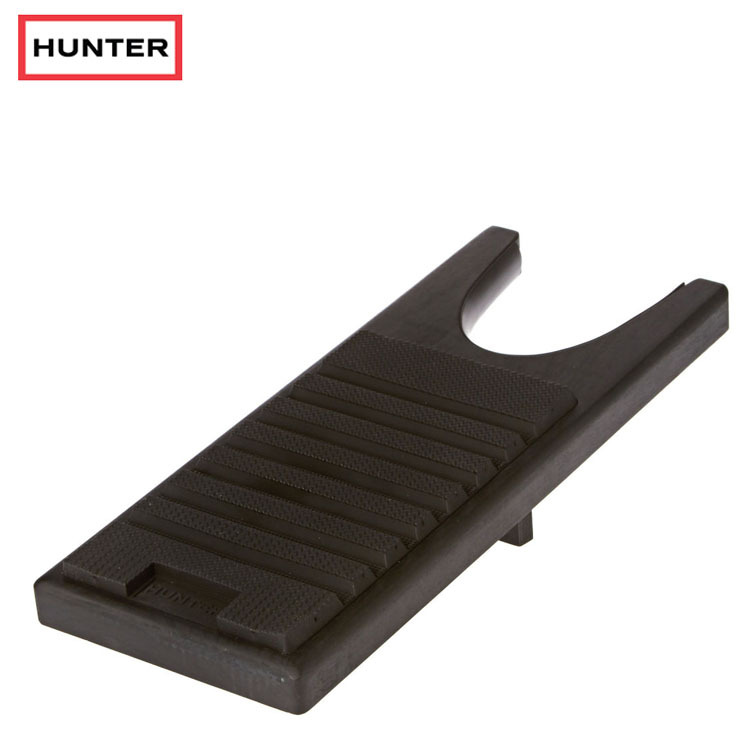 The Hunter Wooden Boot Jack is very simple, quick and effective to use and is available in a black colour.